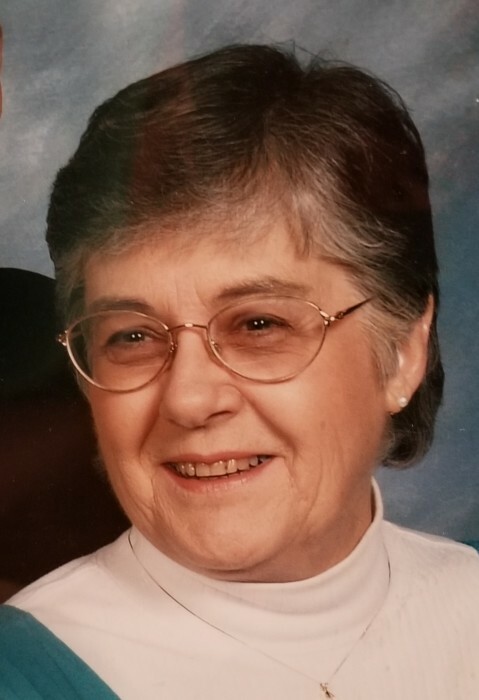 Obituary for Charlene C. (Carter) Bailey | Bowerman Funeral Home, Inc.
Charlene C. Bailey, age 84, of Munising and former longtime resident of Westfield, Pennsylvania, died following a brief illness early Saturday evening, July 14, 2018 at the Medilodge in Munising. She was born on May 28, 1934 in Hillsdale, Michigan to Charles and Ruth (Niblack) Carter. She married Dean Richardson and together they raised their three sons. Charlene earned her Bachelor degree in Education from Spring Arbor University and taught at the Concord Elementary School. She married Edward “Ted” Bailey and they moved to Pennsylvania where she continued to teach. Charlene continued her education and earned her Masters and Ph.D. She and Ted owned and operated “Manhattan Station” in Gaines, PA where she loved living in their mountain home nestled into the Pennsylvania hillside. Charlene enjoyed reading and she was a very talented musician. She played the cello but her specialty was the organ. Charlene served as a church organist throughout most of her lifetime and was quite gifted. She was preceded in death by her parents, son Thomas Richardson, husband of forty years Ted Bailey, and sisters Marcella (Lloyd) Knowles, Maryland (Ralph) Cutshall, and Shirley (Don) Waterstrautt. Charlene is survived by children – David (Pastora) Richardson of Phoenix, AZ, Michael (Dallas) Richardson of Munising, Kim (John) McCaw, Jack (Denise) Bailey, Curt Bailey, and Beth (Steve) Bailey all of Philadelphia, PA; daughter-in-law – Lisa Richardson of Philadelphia, PA; numerous grandchildren and great-grandchildren; sister – Margaret Wieneke; sisters-in-law Sharon (Bill) Paulmier, Phyllis (Bill) Cummings, and Kay (Bob) Eva; and numerous nieces and nephews. A memorial service will be held at the Jemison Valley Brethren In Christ Church at 5870 PA-249, Westfield, PA on Saturday, August 11, 2018 at 11:00 a.m.